Golden Law Office in Harrow, Ontario offers specialized, professional services in a variety of areas of law. 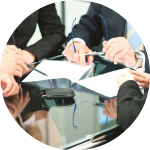 Practicing since 1950, we specialize in Real Estate Law, Wills, Estate Planning and Estate Administration and Business Law. We are a family-run, general practice law firm and truly love working in the Harrow community. 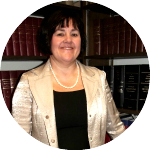 Peggy Golden has been practicing law since 1985. She takes a personal interest in the Harrow community and surrounding areas. She will reliably and professionally manage your legal issues. 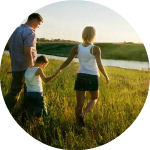 Peggy Golden and Golden Law Office have helped many residents and non-residents to buy or sell a house or business, sort out their legal matters concerning farm or commercial property, prepare wills and administer estates, and several other areas of law. Young, old or anything in between – people at all stages of life are welcome at our Harrow law firm. We can assist young families with buying their first home, retirees or families looking for a holiday home or those wanting to either up- or downsize their current home, organize your Estate Planning and Estate Administration, just to name a few of the legal services we offer. In Peggy Golden you will find the caring, honest and competent legal professional you need to take the worries out of your legal affairs. Let Peggy Golden guide you through the complexities of your legal matters. Whether it is a Real Estate transaction, Estate Planning or Estate Administration, or a Business Law matter, Peggy and her team have the expertise to help you. Golden Law Office is a General Practice Law Office headed by Peggy Golden. Golden Law Office is specialized in Real Estate Law, Wills, Estate Planning & Administration and Business Law. Golden Law Office is located in Harrow. Harrow is a community located in Essex County, Ontario, Canada. “Since 1998, Peggy Golden, Barrister & Solicitor, Golden and Golden, has represented the Mauser Harmony With Nature Foundation, a US 501(c) (3). Ms. Golden resolved a land boundary dispute, assisted our US based Foundation in garnering Canadian tax exempt status, procured a land survey with property line adjustments and managed the title and financial aspects of a complex land sale and closing. The Golden & Golden office staff are proficient, genuinely helpful and responsive to our inquires. The Mauser Harmony With Nature Foundation highly recommends the law firm of Golden & Golden and our outstanding Canadian Barrister, Peggy Golden”. Brian Gray, Executive Director of The Harrow Health Centre Inc.